Dandenong West Primary students Shukriya, Farwa, Roseanna, Vivian, Irraiyanbu and Raei with their Lego robots. 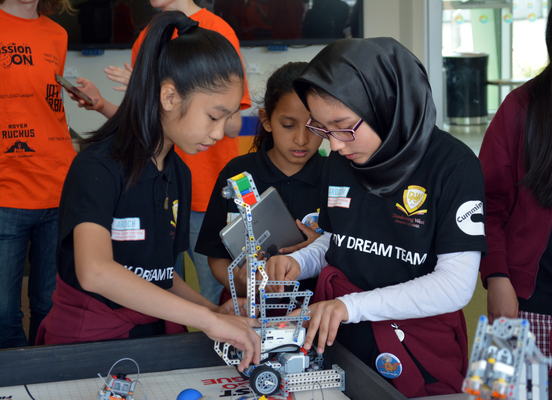 It was a battle of ingenuity at a recent First LEGO League competition at Swinburne University. 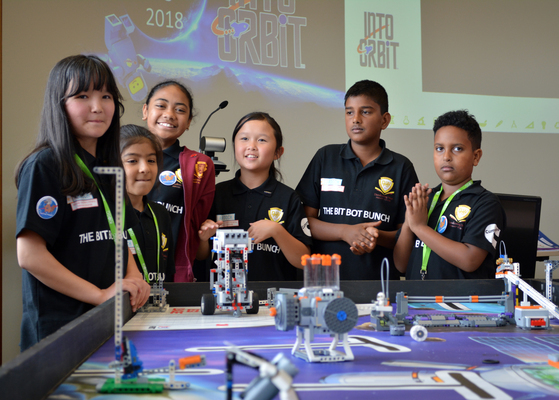 Students from Dandenong West and Rivergum primary schools were among 40,000 teams of budding scientists around the world taking on an ‘Into Orbit’ challenge. Their brief was to innovate solutions for outer space exploration using LEGO robots. 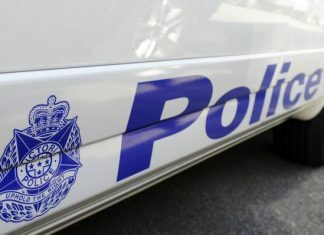 Kylee Bates, chief executive of co-sponsor Ardoch, says the league promotes problem solving, critical and creative thinking in students from disadvantaged communities. Robotics technology kits, teacher training and STEM resources are provided to the target schools. “As more and more employers begin to value STEM related skills, it’s important that all students are given the opportunity to dive headfirst into science, technology, engineering and math,” said Paul Anscombe, director of co-sponsor Cummins South Pacific. The league was founded in 1998 challenging kids to research a real-world problem such as food safety, recycling and energy.